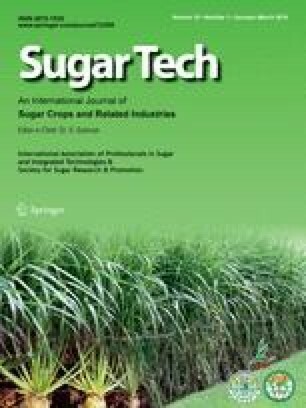 The objective of this study was to evaluate the entire set of 221 sugarcane microsatellite (SSR) markers from the International Sugarcane Microsatellite Consortium for their utility on molecular characterization of elite U.S. germplasm. Five elite U.S. sugarcane clones were tested, including two cultivars LCP 85-384 and HoCP 96-540 from Louisiana, two cultivars CP 72-1210 and CP 85-1308 from Florida, and Green German, an active parental clone used in both states. The 5’ ends of all forward primers were labeled with the fluorescent phosphoramidite dye, FAM and PCR-amplified DNA fragments detected using a semi-automatic capillary electrophoresis system. The sizes of DNA fragments were computed accurately by running genotyping software calibrated against 16 fluorescence-labeled DNA size standard fragments. Evaluation criteria included PCR robustness, extent of the presence of irregular peaks, and the polymorphism information content (PIC). Sixty-seven SSR markers (30% of the total) were found to be highly robust, with PIC values ranging from 56% to 80%. Of these, 40 (60%) markers contained dinucleotide repeats, 11 (16%) markers contained trinucleotide repeats, and 16 (24%) markers contained composite repeats. A total of 467 alleles were scored, of which 350 were polymorphic, averaging five polymorphic alleles per marker, with their sizes ranging from 80 to 460 bp. Several of these highly polymorphic SSR markers have proven useful in sugarcane germplasm evaluation, variety identity tests, cross fidelity assessment, and polycross paternity analysis.